As per a report by Allied Market Research, the "world electric vehicle charging system market would generate revenue of $8.02 billion by 2022" and grow at a compound annual rate of 30.7% from 2016 through 2022. That's quite an impressive figure given the relatively small size of the charging infrastructure today. "In 2015, Europe was the highest revenue-generating region owing to the increasing penetration of home and commercial charging systems in countries such as the Netherland, Denmark, UK and France. In addition, growing adoption of electric vehicles in countries such as China and Japan due to changing lifestyle and rising disposable income is projected to boost the penetration level of electric vehicles in Asia-Pacific region." "In 2015, home charging systems segment dominated the market with around 71.0% market share owing to high penetration of home charging facility in the U.S. and major European countries." You can read a summary of the report below (or purchase the full report here). 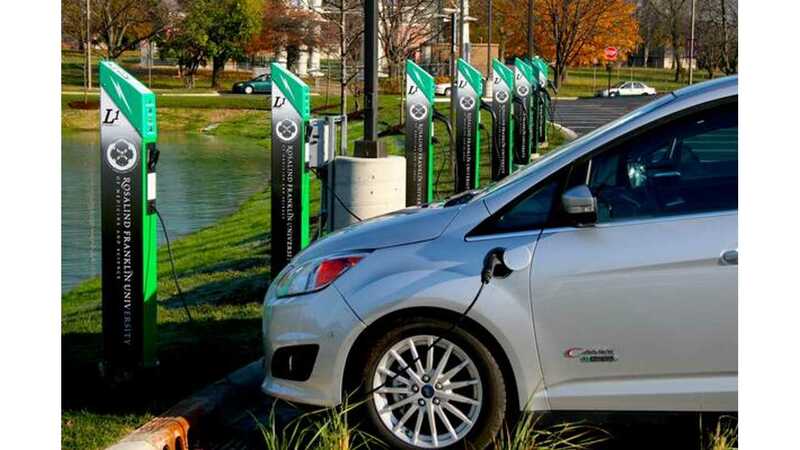 A new report by Allied Market Research titled, "World Electric Vehicle Charging System Market", forecasts that the world electric vehicle charging system market would generate revenue of $8.02 billion by 2022, registering a CAGR of 30.7% during the forecast period, 2016-2022. In 2015, Europe was the highest revenue-generating region owing to the increasing penetration of home and commercial charging systems in countries such as the Netherland, Denmark, UK and France. In addition, growing adoption of electric vehicles in countries such as China and Japan due to changing lifestyle and rising disposable income is projected to boost the penetration level of electric vehicles in Asia-Pacific region. Further, supportive government initiatives to popularize electric vehicle as a substitute over traditional vehicles is anticipated to drive the market growth, worldwide. The world electric vehicle charging system market is segmented based on product type, mode of charging, level of charger and geography. Based on product type, the market is segmented into home charging systems and commercial charging stations. In 2015, home charging systems segment dominated the market with around 71.0% market share owing to high penetration of home charging facility in the U.S. and major European countries. Based on mode of charging, the market has been segmented into plug-in charging systems and wireless charging systems. Plug-in charging systems dominated the market in 2015, accounting for over 90% of the market revenue. The segment is projected to continue its dominance throughout the forecast period due to increasing government investments in the commercial charging solutions, where plug-in charging solutions are generally preferred. On the basis of charging voltage level, the market has been segmented into Level 1 (0V-120V), Level 2 (121V-240V) and Level 3 (241V and above). 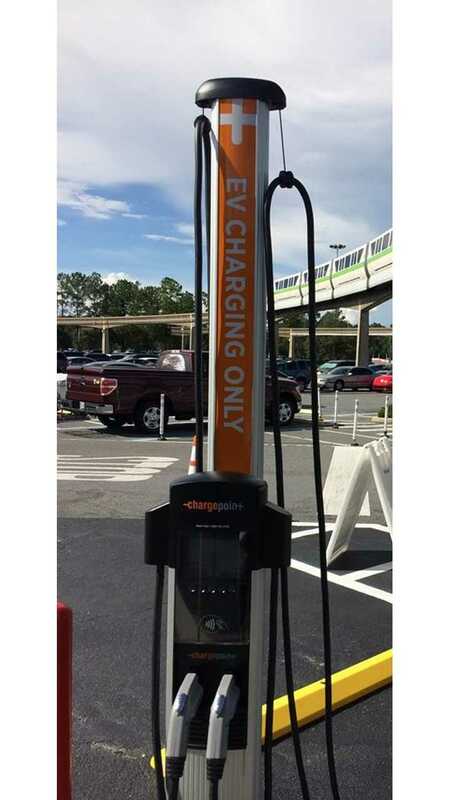 Level 2 chargers are used in both, home and commercial applications, as a result of which, this segment is projected to lead the market over the forecast period. Further, the world electric vehicle charging system market has been segmented based on geography into North America, Europe, Asia-Pacific and LAMEA. In 2015, Europe was the highest revenue generating region, which accounted for around 37% market revenue, followed by North America and Asia-Pacific. • Increasing adoption of electric vehicles supplemented by fluctuating fuel prices and government initiatives to reduce overall carbon emission is anticipated to drive the world electric vehicle market, in turn, accelerating the growth of electric vehicle charging system market. • Home chargers would continue to dominate the market throughout the forecast period. • Europe dominated the world electric vehicle charging system market in 2015 and is anticipated to maintain its dominance over the forecast period. The report also highlights the competitive scenario of world electric vehicle charging system market. It provides a comprehensive analysis of key growth strategies adopted by prominent players operating in the market. Major players operating in the market follow product launch, strategic alliances and collaboration as their key growth strategies to expand their presence and gain a competitive edge. 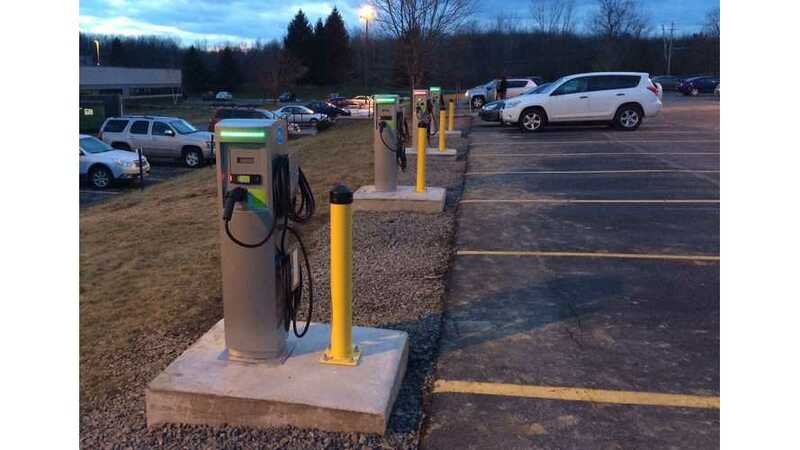 For instance, in March 2015, General Electric Company entered into a joint marketing and product agreement with EV Connect, a leading supplier of electric vehicle charging solutions. The agreement was aimed at expanding the global capabilities of both companies in the fast growing electric vehicle market. Major companies profiled in the report include General Electric Company, Evatran Group, Inc., Robert Bosch GmbH, Delta Electronics, Inc., Schneider Electric SE, Eaton Corporation Plc. Tesla Motors, Inc., Delphi Automotive LLP, Siemens AG and ClipperCreek, Inc.